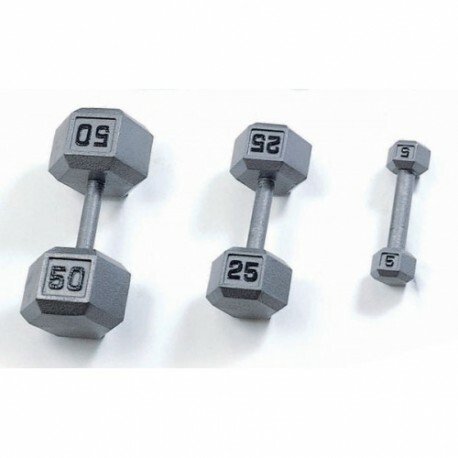 These solid iron Hex Dumbbells are one of the most affordable and time tested dumbbell options on the market. Our Iron Hex Dumbbells are made with the highest quality cast iron and completed with a baked on gray enamel finish. 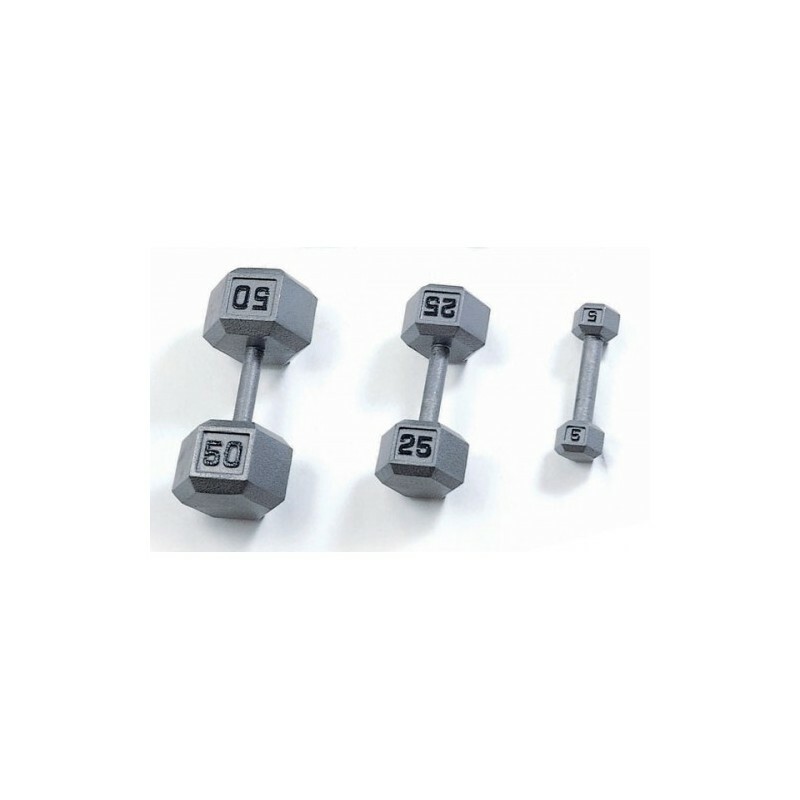 They also feature a knurled, solid steel, straight handle.